The Rotary Club of Salem organizes and directs two major fundraisers – the Old Dominion Athletic Conference Basketball Tournament and Olde Salem Days. In addition, funds are raised through the Club’s participation in events such as the Star B-Q and through donations by individual Club members. Over the past 30 years, the proceeds from fundraising efforts have enabled the Rotary Club of Salem to donate more than $1 million to community service programs throughout the Roanoke Valley region and to international service projects worldwide. Our Club’s fundraising efforts enabled nearly $60,000 in donations for the 2015-2016 Rotary year to a variety of charitable and community enhancement programs in the City of Salem, the Roanoke Valley and the world. During the 2014-15 Rotary year the Club assumed a special fundraising challenge by taking the lead in a District 7570 initiative to raise $250,000 for the global eradication of polio. 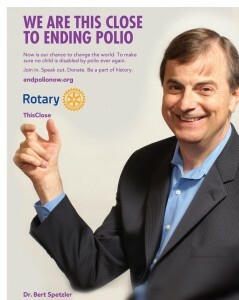 Rotarians have been fighting to eradicate polio for more than 20 years, and we are near to achieving our goal. Now is the time to act, to join this historic effort, and to help us cross the finish line. We are this “This Close”. Click image to donate to PolioPlus and help End Polio Now! 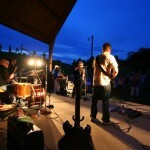 Our thanks to Web Editor Treva Carter for providing updated content for this page.